ORLANDO, Fla. - About a month ago, News 6 produced a Lifehack Monday story called the Holiday Money Edition. One of the featured experts was Nancy Hecht, an Orlando-based certified financial planner. Here's more of Hecht's very interesting (and timely) advice. News 6: A credit card versus debit card. What's the difference? Nancy: Well one is borrowing. And one is you are your own banker. With a credit card you are using somebody else's money. And for the privilege of using somebody else's money, if you pay it back on time, it's a free loan. If you don't pay it back on time, there's interest. And the interest that you pay ends up being often times double digits. With a debit card, it's just another way of spending cash without having to have the paper money in your wallet. And it's your own. News 6: So there's a level of convenience with using a debit card? Nancy: Right. And people just don't carry cash anymore, which I think is wrong. Everybody should have some stash money in their wallet. News 6: Which one do you prefer credit cards or debit cards? Nancy: It just depends on the situation. If it's something like grocery shopping, the hair salon, or something like that where the keypad is right in front of me, I'm swiping it. I'll use my debit card. If it's at a restaurant or a department store or someplace in public where you have to worry about your card going away and somebody else swiping it, or a bunch of people around you maybe trying to electronically read the card, then I'm going to use a credit card so I have more protection. News 6: And that's one of the biggest things right now because it's about liability and protection from fraud? Nancy: Yes. And I mean if you're using a debit card, your own personal money is up for grabs. So that's what you have to think about. Yes, you know you're spending cash and there’s no interest. You're not going to get a bill that you have to be concerned about paying on time when using your debit card. But it is your checking, savings, money market account. For most people, it's emergency money as well as everyday use money in one account that the debit card may be attached to. And you want to protect that. News 6: What's your liability on a credit card if you get hacked or somebody gets into it versus your liability or debit card because it's a big difference, right? Nancy: It is a big difference. Fraud with a credit card you are liable up to $50. Fraud with a debit card you're liable up to $500. News 6: And that's your own money? Nancy: Your own money. And five hundred bucks for people using a debit card may be 50 percent or more of what they keep in the account attached to the debit card. So that's a big chunk of change. News 6: Sidetracking… we talked earlier about establishing or building up your credit. The difference between a debit card and a credit card with building up your credit? Nancy: Well a debit card really doesn't do anything to help build up your credit because there is no credit established with that. With a credit card, you should use it to show that you can make regular payments. That's what builds a credit record the ability to make regular payments. So paying rent, paying a utility bill, paying your credit card and doing it on time is what helps build a good credit record. Read more on how to build credit with credit cards, here. Nancy: Yes. Well that's where people get into trouble. You should never charge more than you can afford to pay in cash. I mean using a credit card versus using your debit card is borrowing money free, assuming that you can pay your bill in full when you get it. If you cannot pay it in full then you're going to start incurring interest. 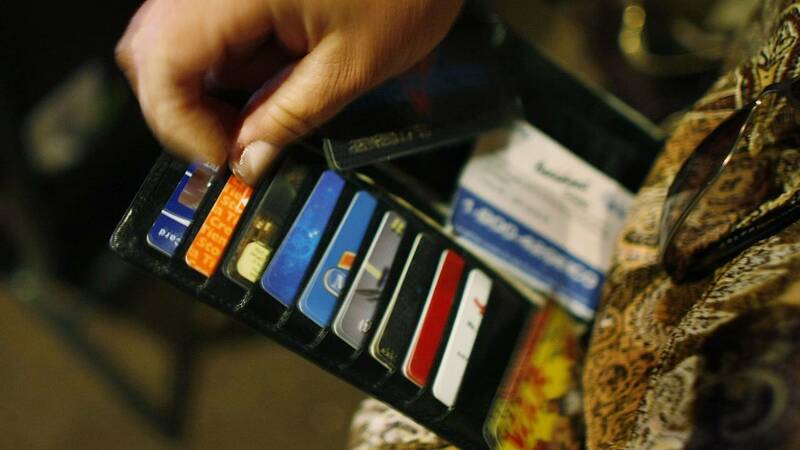 News 6: How many credit cards should we have? Nancy: I have two. I have one that's for a department store and I have one that's a general one. I think that's sufficient. Only one of them do I use for online shopping and that's it. News 6: Talk about some of the protections of a credit card versus a debit card. Nancy: Well I mean a credit card as far as fraud goes you know you have you're liable for $50 and that's it. And then anything above that like I had a card that was swiped at a gas station and because I look at my bill regularly with my account regularly before the bill comes. I could see that there was a lot of purchases that I had not made. You can sign up for all kinds of alerts you can set limits or you get an alert when you know more than a hundred bucks is charged to your phone and you can approve it or not approve it. So there's a bunch of different ways to protect yourself. News 6: And a debit card? Nancy: One-hundred percent of that money is yours if there is fraud then most banks will hold you to a $500 limit and then anything above that they will take care of. News 6: Is it a good idea for you to kind of reset right now after [reading] this? And you're going to go change all my numbers on my debit cards and start over again and then just stick with credit cards? Nancy: How long has it been since you've changed your PIN to give yourself a little bit of a level of protection? I think what's important is not only being diligent and responsible in using credit or debit cards but how you monitor it. You know if you're constantly using a card and you're never paying actual paper money cash for stuff you may lose track of what you're spending… You know when we had paper money that was used way more than just cards, people were a lot more conscious of their personal economics.